In Lynchian noirs dream and waking states bleed into one another until fantasy and reality are indistinguishable, until the very distinction between the two is rendered meaningless. The result is an effectively enthralling cinematic universe. Though strikingly original, David Lynch's films are far from blind to cinematic history. Several of his most successful films can be characterised as additions to the canon of film noir. Unlike many other so-called neo-noirs, which reference the genre in postmodern pastiche or parody, Lynch's noirs are straight-faced and sincere. Lynch employs the noir manifesto of delving into the dark side of life and exposing that which is usually hidden as a basis upon which he imposes his own particular fixations with obsession, the perverse and the uncanny. One particular classic noir preoccupation is especially suitable for Lynch: the dream sequence. In Lynchian noirs dream and waking states bleed into one another until fantasy and reality are indistinguishable, until the very distinction between the two is rendered meaningless. The result is an effectively enthralling cinematic universe; an evolution from classic noir with its own unique conception of the relationships between reality, fantasy and cinema. The term 'film noir' was first coined by French critics to describe a trend towards dark style and content in American cinema in the '40s. Defining classics of the genre (there is some debate over whether film noir does indeed constitute a genre or is instead only a style or mood) include The Maltese Falcon (John Huston, 1941), Double Indemnity (Billy Wilder, 1944), Laura (Otto Preminger, 1944) and Gilda (Charles Vidor, 1946). The trend was a product of the pessimism of the times (due to World War Two and particularly the cold war), film censorship in the form of the Hays Code (1930-68), which forced directors to depict taboo or risqué topics equivocally and, stylistically, German expressionism. The men were hard-boiled, the women beautiful and dangerous, the dialogue snappy and smart, the plots convoluted and violent and the visuals dark and 'arty'. Regret-laden voiceover narration was also a trademark. Film noir continued well into the '50s but lost relevance in the '60s and '70s (though there are some notable noirs from those decades). It enjoyed a resurgence in the '80s and '90s with movies like Body Heat (Lawrence Kasdan, 1981), Basic Instinct (Paul Verhoeven, 1992) and L.A. Confidential (Curtis Hanson, 1997). Termed neo-noirs, these films used classic noir formulae knowingly, conscious that much of their audience would recognise and enjoy such references. In the twenty-first century that trend has continued with films like The Man Who Wasn't There (Joel and Ethan Coen, 2001) and Sin City (Frank Miller and Robert Rodriguez, 2005) winking at their audiences in their use of noir clichés such as black and white photography, trench-coats and hard-boiled voiceovers. Lynch's re-imagining of film noir is best seen in Blue Velvet (1986), Lost Highway (1997) and Mulholland Dr. (2001). These films display noir sensibilities in their subject matter and style, and are perhaps most identifiably noir in the presence in each of a femme fatale. The three films also form a cogent trinity in their shared preoccupation with the slipperiness of reality and the obliqueness of cinematic representation. The unreality of what is shown on screen is suggested in Blue Velvet, but made much more explicit in the shifting identities and temporal loops of the latter two films. In contrast to some of his earlier films, in the three films discussed Lynch chose not to use noiresque black and white photography. Blue Velvet in particular displays a blaringly bright colour scheme. The predominance of primary colours amplifies the sense of pantomime inherent in the somewhat affected acting style Lynch's actors (we assume are directed to) adopt in the film. Side-by-side with these intense colours is the equally intense and saturated black of ever-encroaching shadows. Even Sandy (Laura Dern), arguably the film's lightest character in both demeanour and appearance (her pastels and blondeness are in stark contrast to femme fatale and brunette Dorothy's (Isabella Rossellini) dark reds and blues), cannot avoid the darkness (if indeed she even wants to). Lynch suggests a symbiotic relationship between these spectral opposites. In this world an idyllic picture is never without its dark double. As with Blue Velvet, Lynch uses visual and aural means to induce a distinct mood in Lost Highway. Rich colour and dense shadow are again combined, along with other visual devices such as elongated fade in/fade outs between shots and the repetition of high angle shots. Together with unhurried editing and the languid movement of actors, the result is an eerie somnambulant ambience. This mood is most prominent in the home of Fred and Renee Madison (Bill Pullman and Patricia Arquette) where neither character can shake free from the omnipresent shadows. The tyrannical darkness is so potent that it never fails to intrude between shots so that a character is always seen emerging from, and then collapsing back into, the shadows. The product is highly menacing; indeed, nightmarish. The extended periods of utter darkness seem almost malevolent, maintaining the distance between the alienated couple on screen. When Renee leans over Fred in bed (see clip), it is moreover suggested the darkness serves to hide the characters' true selves from one another. In both Lost Highway and Mulholland Dr., Lynch uses mise-en-scène to create strange recurrences – of objects, sounds, places, narrative events – some of which seem designed to be consciously noticed, others which contribute subconsciously to the audience's feeling that the world portrayed on the screen is not quite right. In Lost Highway such recurrences are used to link characters: for example Pete (Balthazar Getty) turns off a radio playing the sax solo Fred played near the beginning of the film. In Mulholland Dr. Lynch takes this motif further with the aim of producing a particular effect on the audience. Recurring items include the pay-phone outside Winkies, Diane's phone and the two blue keys. A particularly elusive and creepy instance is the recurrence of hit-man Joe's van which is first seen through the front windshield of the elderly couple who met Betty (Naomi Watts) on her trip to Los Angeles. The recurrence of objects is matched by narrative doubling such as the chauffeured night-time drive on Mulholland Drive taken by both Rita (Laura Elena Harring) and Diane (Naomi Watts). Another interesting aspect of Lynchian mise-en-scene is casting. In the three films discussed Lynch uses actors from other realms of pop-culture. Isabella Rossellini was a world-renowned model prior to starring in Blue Velvet. 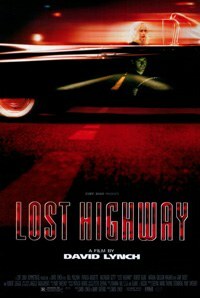 Musicians Henry Rollins and Marilyn Manson adorn the screen in Lost Highway. This is taken the furthest in Mulholland Dr. Of course there's Billy Ray Cyrus. There is also Ann Miller playing an old movie star (just as classic noir Sunset Boulevard – which Mulholland Dr. references – featured a washed-up silent film star, Gloria Swanson, playing a washed-up silent film star). Lynch's long-term musical collaborator Angelo Badalamenti also makes an appearance as a short-tempered espresso connoisseur and casting advisor. The effect Lynch successfully achieves by these and other means is that of the uncanny. In his 1919 essay, "The Uncanny", Sigmund Freud said uncanny feelings arise when “the primitive beliefs we have surmounted seem once more to be confirmed." Such a feeling is evident when we suspect what rationally appears to be a coincidence to have some hidden significance. The van appearing at the beginning of Mulholland Dr. could be nothing more than a coincidence, and rationally, this is how it must be viewed. An uncanny effect is produced because on some level we allow for the possibility that rather than being an effect of chance, it has some deeper explanation that transcends rationality. The detectives in Lost Highway display a sense of the uncanny when they find a photo of Renee in the house of a man murdered by Pete. This ostensible coincidence is so far-fetched that it beggars belief, as the fat cop says, “there's no such thing as a bad coincidence." Another of Freud's definitions of the uncanny is that it is “that class of terrifying which leads back to something long known to us, once very familiar." In this way it's clear how the repetitions, particularly the casting choices, in these films encourage an uncanny response. Seeing someone who has been familiar in a certain role in a completely different context is understandably unsettling. It adds to the nightmarish quality of the films, dreams being routinely inhabited by figures from the past. It also adds to the unreality of what we see: it is hard to pretend someone is not just acting a part when their face is so well known from outside of the world s/he currently inhabits. Linked to both the uncanny and also the obsessional nature of his characters is Lynch's repeated incorporation of the nightmarish figure of the double. Lynch utilises the double to underscore the complexity of identity in his noir world. This begins with Dorothy in Blue Velvet. Dorothy epitomises the classic femme fatale in that she seduces the male protagonist into a murky adventure by means of her sexual prowess. By the time of this seduction however Dorothy is already a victim of dark sexuality and her luring of Jeffrey (Kyle MacLachlan) is not a devious plot for personal gain, but rather a last gasp for help. Dorothy's initial successful attempt to intimidate Jeffrey is promptly shown to be a pathetic mimicry of her own tormentor, Frank (Dennis Hopper). Dorothy's duplicity lies in her confusion of the roles of victim and aggressor; prey and sadomasochist. Like Dorothy, Lost Highway's Renee/Alice's good looks have made her prey to the perverse inclinations of tough guys like Mr Eddy and Andy. She also parallels Dorothy in the pleasure she apparently derives from her own exploitation. As with Dorothy's seduction of Jeffrey, Renee/Alice displays her femme fatale credentials by embroiling a relative innocent – in this case Pete – in her dark world. The literal double nature of the female characters is equally marked in Mulholland Dr., in which the lead women's duplicitous natures physically extricate themselves to create two distinct characters, or at least two versions of those characters. Neither twin has a claim to originality so there is no clear-cut doppelganger. They are true doubles. Doubling is not restricted to femmes fatales. When asked by Sandy if he is “a detective or a pervert" Jeffrey is unable to answer because he is both. His duality is given form in the dual relationships he carries on simultaneously with Dorothy and Sandy. Once again this is taken further in Lost Highway and Mulholland Dr. with the dual identities of Fred/Pete and Betty/Diane. These two binary characters are both utterly consumed by their obsessions, and it seems that it is this destructive impulse that leads to their own transfiguration or split, as well as the metamorphosis or partition of their objects of desire (Renee/Alice and Rita/Carmilla respectively). Interestingly, of all these doubles, only Fred/Pete is portrayed by different actors. There is a direct correlation between these character doubles and Lynch's stylistic approach to colour and darkness already discussed. Moreover, his soundtracks exhibit a comparable contrast between the extremes of light-hearted pop songs and both the sinister refrains of Badalamenti's scores and the more general noise that can either drone – as in much of the opening sequence of Lost Highway – or bellow – as in Jeffrey's memory sequences in Blue Velvet. The uncanny effect of his films is also augmented aurally with unconventional covers of familiar songs, most notably the Spanish version of Roy Orbison's Crying in Mulholland Dr.'s Club Silencio sequence. The complexity of characters such as Dorothy defies noir stereotypes and highlights Lynch's resistance of parody. Further his style in these films, though obviously influenced by noir, is far from a straight imitation of the classic model. Instead, it can be argued that Lynch raises the unconscious preoccupations of noir to the surface. As noir was always concerned with what was considered the dark, murky side of life, it is not surprising that the product of this process is so wild and perverse. The predominance of doubles goes some way to defining the nightmarish quality of Lynch's films. Unlike in classic noir, where that which belongs to the dark side of the human psyche can be confined and finally resolved or punished, in Lynch's noirs darkness is inescapable and dark doubles cannot be repressed. Many critics of Lynch's work attempt to rationalise the, frankly, confusing narratives he offers in these films. This inevitably leads to a heavy reliance on dreaming and fantasy to explain the otherwise inexplicable. Others interpret Lynch's films as a radical new method for the representation of reality (see for example Martha Nochimson's book The Passion of David Lynch, Wild at Heart in Hollywood). A related perspective is simply to take Lynch's films as figurative, or even abstract or surreal, pieces of art. These films do not seek to imitate life but to investigate the human condition with the aid of all cinema has to offer, both technically and by fully exploiting that film characters are not constrained by the laws of physics (causality, linear time etc.). Lynch constantly reminds us of the artificiality of that which we watch. At the same time the emotional engagement he provokes from his audience causes us to take what we see seriously. This strange mix of artificiality and emotional authenticity is arguably the central conceit of cinema and as such it is explored by Lynch most explicitly in the film in which he focuses squarely on Hollywood and the business of movie making, Mulholland Dr. The climatic Club Silencio sequence tells us over and over that what we are watching is pre-recorded: there is no band. Yet the performance of 'Llorando' is so convincing, and delivered with such emotional force, that we, along with Betty and Rita, are still surprised when it is revealed to be a lip sync. The classic noir period was suffused with paranoia, both between individual characters and by individuals toward society and institutions in general. Lynch extends this paranoia to question traditional notions of reality, truth and cinema's role in presenting and deciphering these fundamental concepts. For Lynch, the nature of cinema is inherently opposed to a literal depiction of reality. In these three films he uses self-conscious filmic devices, impossible narratives and emotional integrity to force the viewer to constantly reassess their status as spectator, interpreter and participant. david lynch blue velvet lost highway mulholland dr.